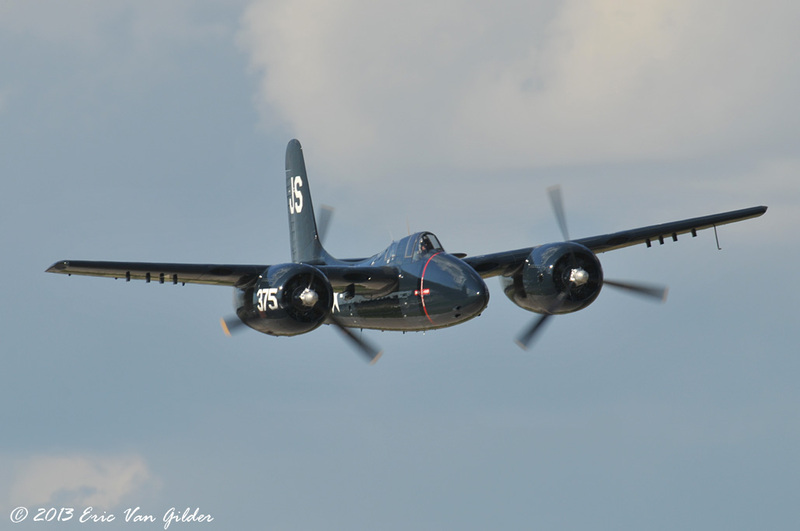 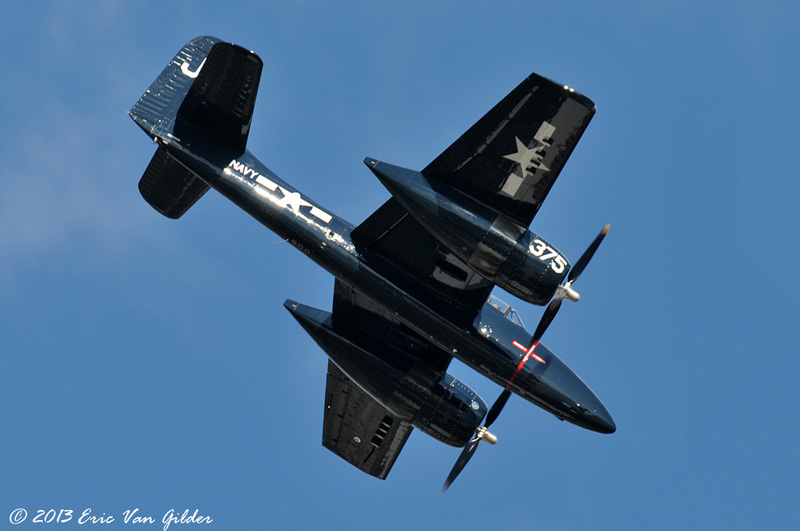 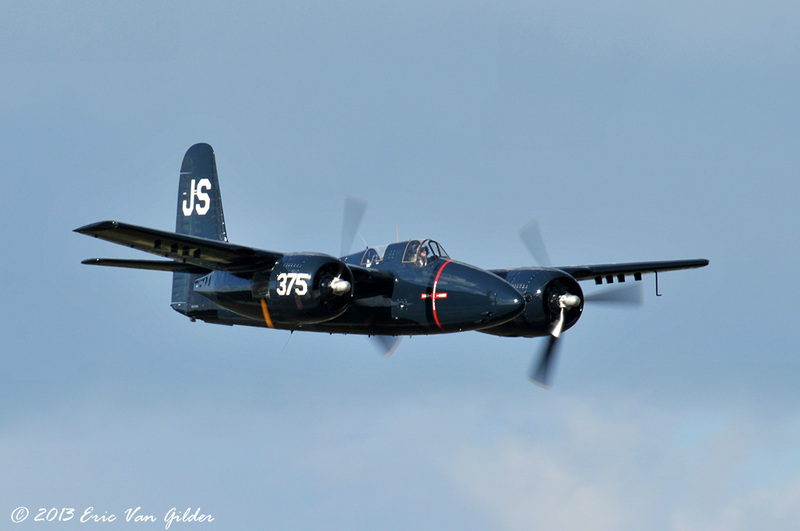 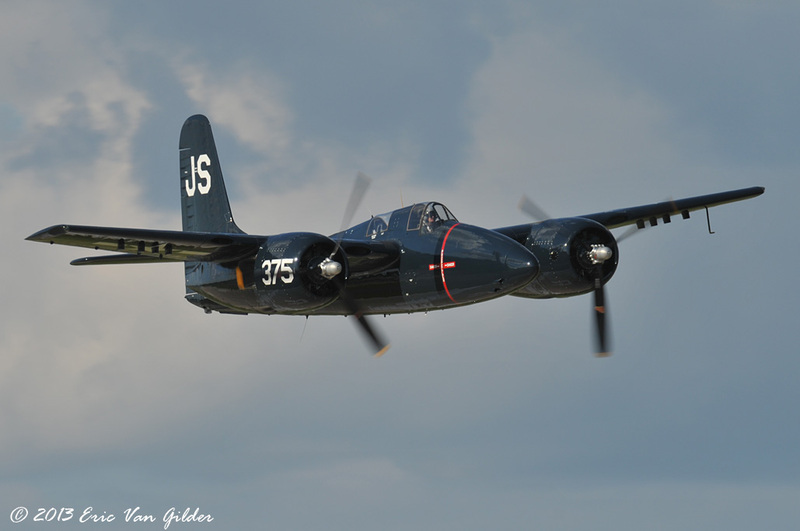 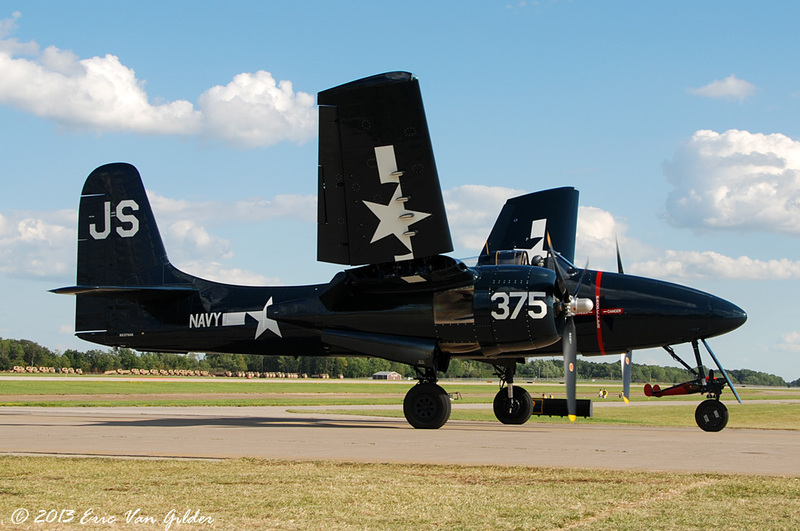 The Grumman F7F Tigercat was flown by Steve Hinton for the performance at Oshkosh. 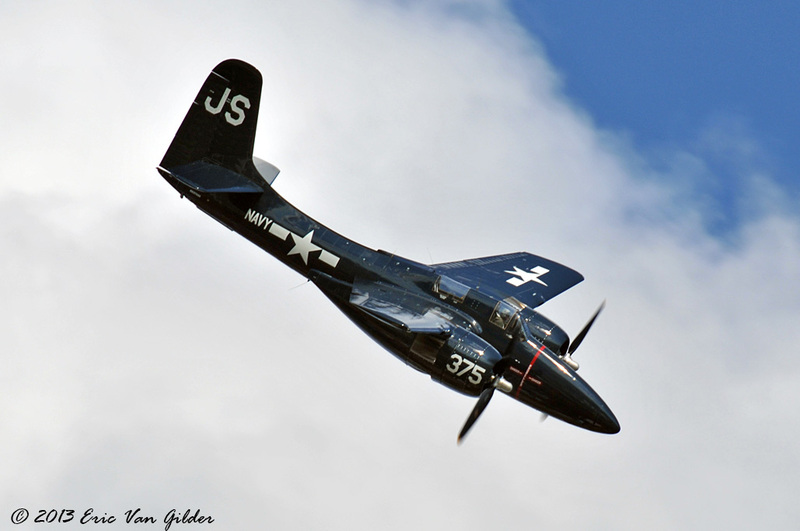 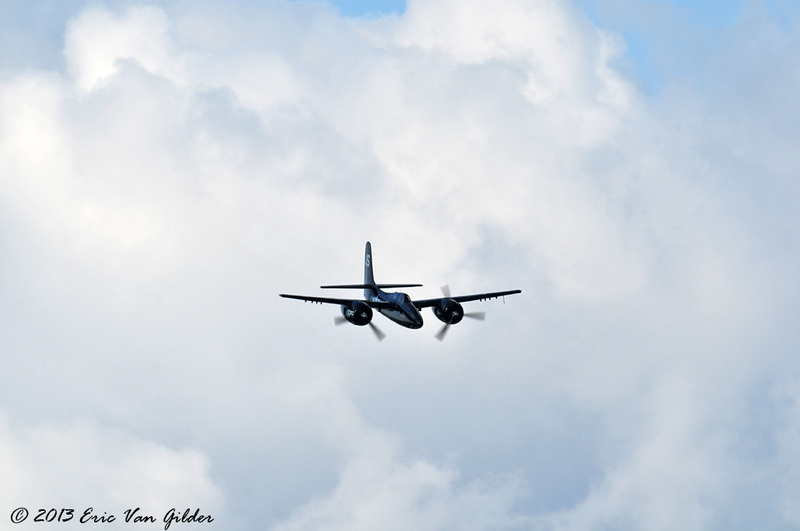 The F7F was designed during WWII but did not see service during the war. 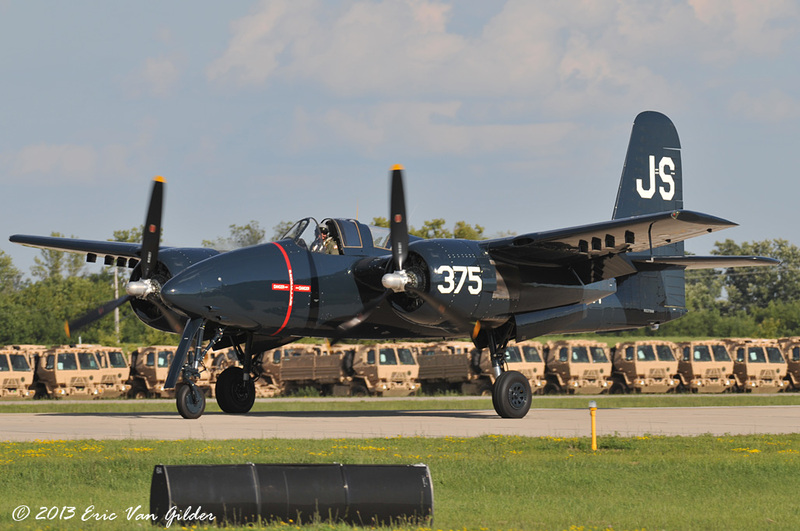 They did see service in Korea for attack and night fighter missions.